Elegance, opulence and incredible income potential!! This brand new, beautifully finished detatched home is situated on a full sized lot in East Vancouver, close to the shops and restaurants in Hastings Sunrise and easy access to Hwy 1 & downtown. Subsidize your monthly mortgage payment with the 2 bdrm laneway (tenanted at $2250/month) and a 2 bdrm basement suite. The open concept main house is bright and inviting with large windows, tall ceilings, and two fireplaces with cultured stone and built ins. The spacious kitchen/spice kitchen is beautifully finished without losing functionality; boasting quartz countertops, glass tile backsplash, ample storage and high end appliances. 2-5-10 New Home Warranty. Silent inside! Call for Private showing! I have sold a property at 1403 590 NICOLA ST in Vancouver. Experience waterfront lifestyle with the seawall at your doorstep. The Cascina is one of the premium luxury waterfront buildings located on Coal Harbour waterfront with no traffic between you and the seawall. This condo boasts an oversized bedroom plus den, with cheater-ensuite bathroom. Kitchen offers Sub Zero & Bosch S/S appliances and granite countertop. Also features A/C and a large 60sf balcony. Enjoy unobstructed views of Burrard Inlet, Northshore mountains , water and much more. Meticulously maintained unit by long term owners. Flooring was recently upgraded to hardwood throughout. Comes with 1 parking, 1 locker and world class amenities which include: 24hr concierge, pool, gym, sauna, steam room, entertainment lounge, library & media room. With the high inventory of homes on the market today, homebuyers can afford to be picky. As consumers, we are always looking for the best option, so a home can easily be overlooked if it's not in pristine condition. Use these 10 tips to whip your home into shape and wow potential buyers. Know your selling point; What made you fall in love with the home in the first place? Whether it be unique features or prime location, know what will attract potential buyers. Clean; Ensure that your home (both exterior and interior) are as clean as possible. If buyers see an unkept house, they will question if the home has been properly maintained. This will decrease saleability and increase the chances of a low offer. 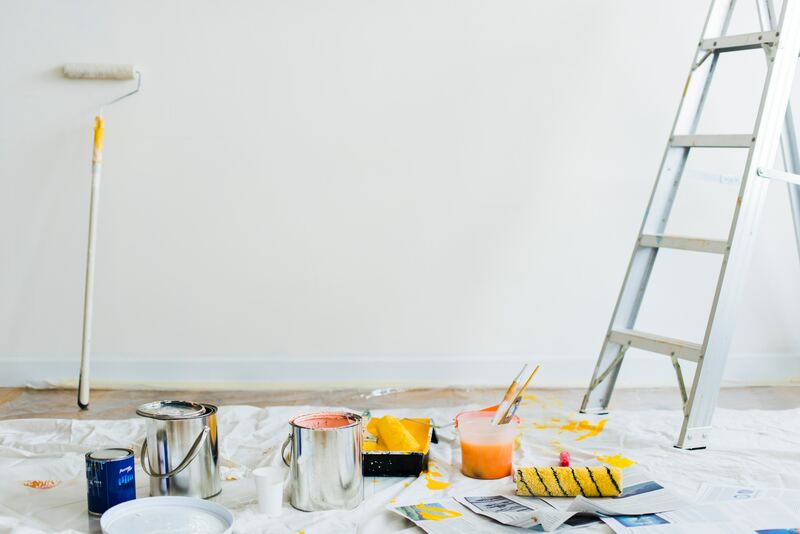 Repairs; In a buyer's market, you want your home to be in its best condition. Clean up landscaping, fix doorknobs, change lightbulbs, whatever it needs to show the best. Improvements; take colour down a notch. Bright colours don’t really appeal to all buyers. Paint your walls a light, neutral colour to make spaces feel bright and calm. Little upgrades to lighting, flooring, or cabinetry can make a dramatic difference to a room. Create a lasting first impression; Buy a new welcome mat, replace faded house numbers, and paint the front door a tasteful colour that compliments the home. Remove clutter and depersonalize; Buyers want to envision their belongings in the home. Remove knickknacks, photos, extra furniture, and other personal items. Stage; Staging can go a long way to highlight the best features of a space. Improving the aesthetic of your home will positively affect how it shows both online and in person. Organize closets and drawers; Messy closets give the appearance that your home doesn't have enough storage space. Eliminate bad odors; Fill your home with inviting smells. When showing the home light candles, diffuse the air, putting out fresh flowers or bake a batch of cookies. Aside from making sure your home is show ready, arguably the most important tip is to offer a reasonable selling price. Compare your property to similar homes sold in your building or area. Choosing the right price is one of the most important factors to determine how quickly you sell your house. Develop a sales strategy to maximize your return. I have listed a new property at 77 8138 204 ST in Langley.